Chasing big money donors is a three-part process: first the begging, then the bagging, then the bragging. 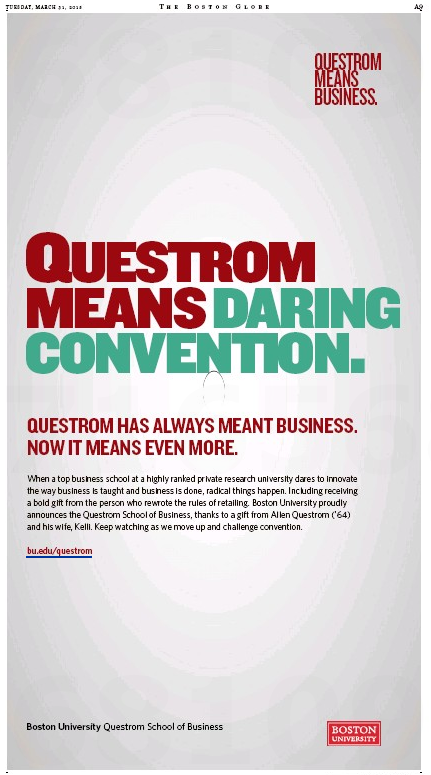 That last is what two institutions of higher education are doing via full-page ads in today’s Boston Globe. 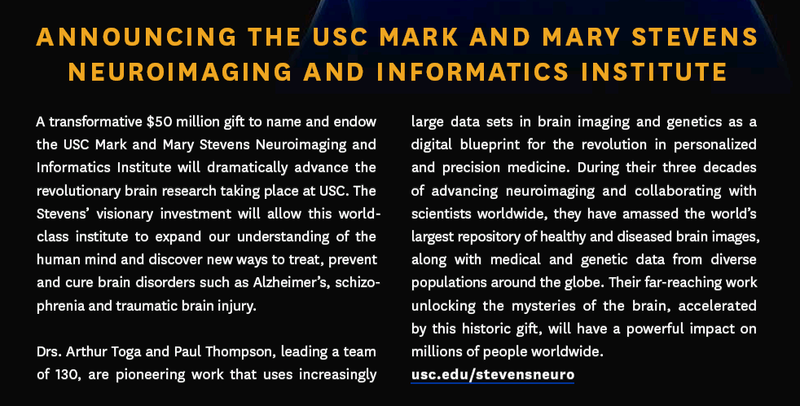 The hardreading staff isn’t quite sure why the ad ran in the Globe, and this USC puff piece doesn’t provide much of an answer, except that Mark Stevens got an MBA at Harvard. That’s probably enough, eh? The connection to Boston is obvious in the ad two pages later. Here’s a BU puff piece. And it doesn’t have to be just business schools. We’re about to put the Global Worldwide Headquarters up for grabs. Bidding starts at $50. Don’t delay! This entry was posted on Tuesday, March 31st, 2015 at 2:56 pm and is filed under Uncategorized. You can follow any responses to this entry through the RSS 2.0 feed. You can leave a response, or trackback from your own site. If I bid, what exactly could I win? Do I get to name the blog, or the HQ? If the latter, will there be signage? If the former, will you change the banner at the top? HQ, and yes, signage could be arranged. 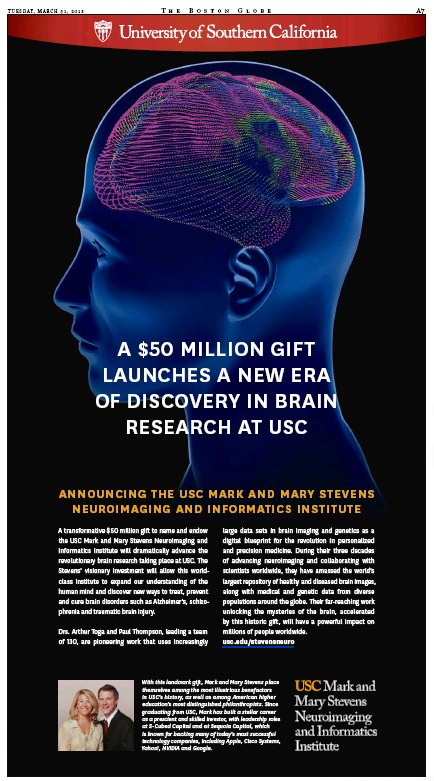 Next time they might want to make the brain face the correct direction. Oops. The brain in the top one is facing the wrong way!